Suppose Hyundai decided it wanted to compete with the global compact hatchback phenomenon known as the Volkswagen Golf. Oh, wait, the Hyundai i30 has been doing that for several years already. Except, it wasn’t for sale in America — until now. Say hello to the Hyundai Elantra GT. 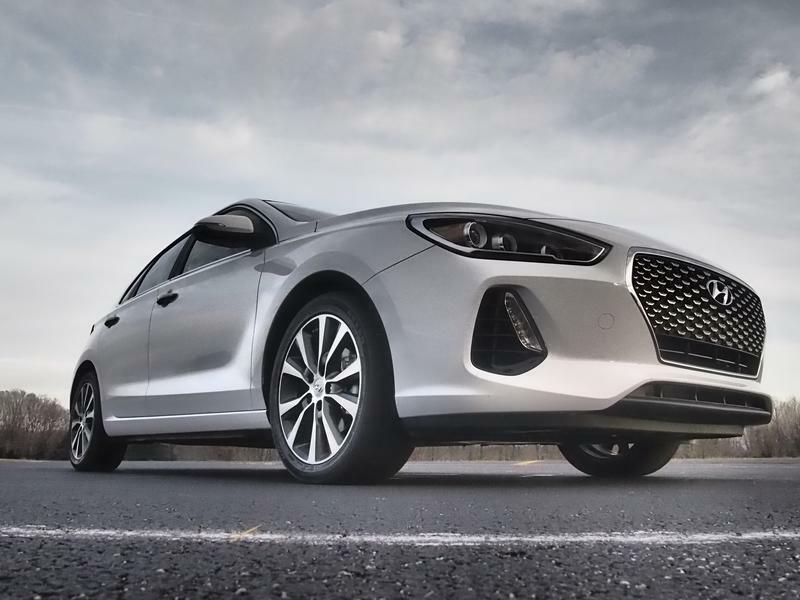 The rest of the world still knows it as the Hyundai i30, but for we ‘Mericans, the Hyundai Elantra GT is a newer, better take on the departed Hyundai Elantra Touring. The Hyundai Elantra GT has an elegant, attractive design. 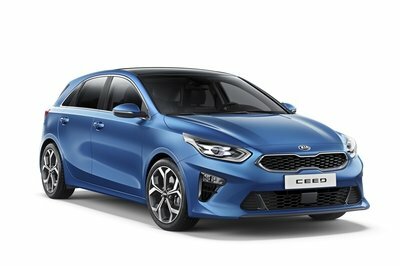 And since it’s based on the European-market Hyundai i30 for 2018, that means it looks appreciably different from the Elantra sedan inside and out. The front features Hyundai’s signature grille design that’s a little bit Audi-like. The hood is low and slopes toward the front. Headlamp lenses are dynamically shaped and house three bulb elements. Fog lamps, as with some other Hyundais of recent years, are a vertically-mounted LED stack in the lower corners of the bumper. The side view shows the Elantra GT is shorter than its sedan counterpart by nine inches. It rides on a two-inch shorter wheelbase than its sedan counterpart, as well. Body panels are neatly formed and include an arching crease that bends from the headlight lens to the taillight lens, forming a bit of a window sill above the door handles along the way. A scalloped area in the lower third of the door panels slants up slightly from front to rear, giving a sense of speed to the design. 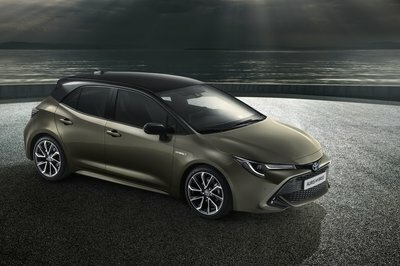 At the rear, the hatchback features a wide, relatively upright glass and some pretty complex surfacing. The taillights have a slightly angry angle going on, and the center high-mounted stop lamp is tucked neatly under visor-like spoiler at the top of the glass. A rear-view camera is cleanly integrated below the Hyundai “H” logo in the center of the tailgate. Inside, the Hyundai Elantra GT continues its elegant theme. The seats in the tested car were covered in tan leather with a diamond-pattern ventilation holes — but not diamond stitching. The dashboard sits relatively low and features an infotainment head unit that mimics a tablet, sticking up out of the center stack. The steering wheel lacked any wannabe-racer flat-bottom design and was leather-wrapped. Most surfaces that would see regular touches by the driver or passengers — upper door panels, upper dash, arm rests — were soft. Driving the Hyundai Elantra GT, the immediate thing that stuck out was its smaller size compared to the sedan. Tall drivers may feel a little cramped if they have to make room for someone in the back — even if that someone is a child in a booster seat. But the Elantra GT is comfortable, with a driver’s seat that is firm in the good way. It provides support in most of the right places and proved comfortable for a day of errand-running. And its shorter body makes it easier to park than its sedan sibling. Despite its sporty-sounding name, the Elantra GT is not particularly sporty, though. Its torsion-beam rear suspension gets a little upset over broken pavement and its steering feedback is nearly nonexistent. To be fair, those are complaints we could lodge with many cars in the compact segment. Despite its sporty-sounding name, the Elantra GT is not particularly sporty, though. The 161-horsepower 2.0-liter naturally aspirated gasoline engine was plenty to motivate the car, but its tuning combined with the seemingly economy-focused tuning of the six-speed automatic transmission meant an aggressive right foot was required to really get things moving. The engine’s 150 lb-ft torque peak was located at 4,700 RPM, so climbing hills sometimes saw the transmission executing multiple downshifts. That was kind of annoying, especially since the Elantra GT’s fuel economy was nothing to write home about — 32 mpg over more than 300 miles. To be fair, 32 mpg is the Elantra GT’s EPA highway fuel economy rating. It’s just not as impressive in an era where some compacts — including some versions of the Elantra sedan — flirt with 40 mpg on the highway. 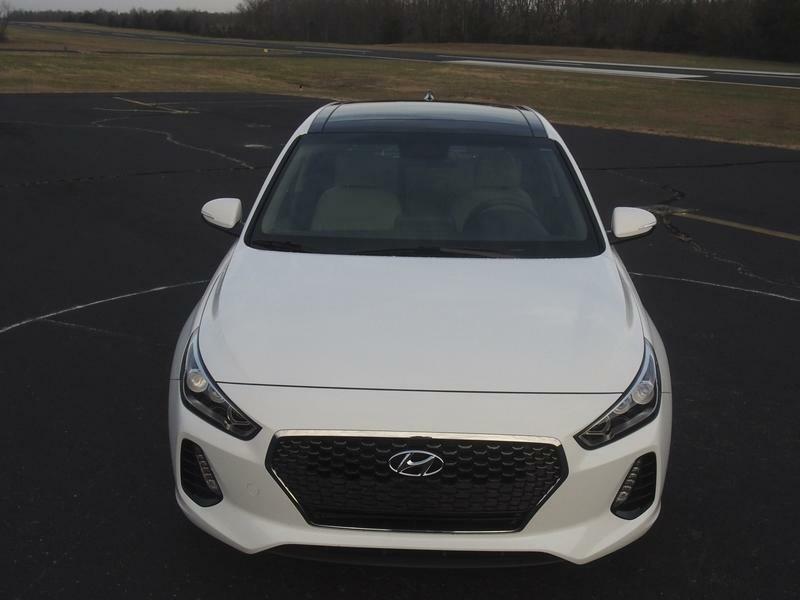 There is a “Sport” version of the Elantra GT that ups the performance ante with a 1.6-liter turbocharged engine packing 201 horsepower and 195 ft-lbs of torque across a much broader torque curve. Fuel economy suffers a bit, but it’s worth it for the better torque curve. Storage in the cargo area proved plentiful for a paper route and a hefty grocery haul. Whether a buyer opts for the standard GT or the Sport model, the standard manual transmission would be the best choice. While the Sport model’s stouter engine will help it feel more lively in day-to-day driving, its optional automatic transmission is a dual-clutch seven-speed automated manual that leaves a lot to be desired particularly at low speeds, where there is noticeable clutch shudder and sometimes rough shifts. Storage in the cargo area proved plentiful for a paper route and a hefty grocery haul. Hyundai says there’s 24.9 cubic feet of space in the cargo area, and one can expand hauling space up to 55.1 cubic feet by laying the rear seats flat. It was nice that the rear glass didn’t intrude too much on hauling space. Not so nice was the relatively tall liftover height. Like the Elantra GT, the Golf has understated -- some might say elegant -- styling. An obvious target for the Hyundai Elantra GT is the Volkswagen Golf. Like the Elantra GT, the Golf has understated — some might say elegant — styling. Interior measurements are similar. Hyundai will hold a value advantage for those who are most concerned with price. 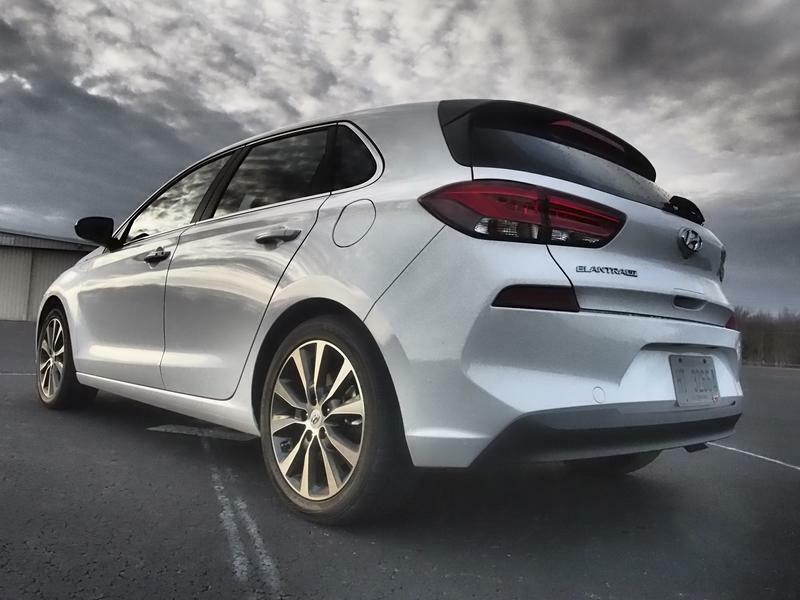 At the time of this writing, base Elantra GTs were being advertised at Hyundai’s US website with $1,500 in discounts, bringing the base price to $17,850 (normally $19,350). A Golf is going to set you back at least $20,910, according to VW’s US website. The Golf has better handling balance, a little more feedback in the steering wheel, and a far more satisfying powertrain. Its 1.8-liter turbo engine is much stronger in the middle of the RPM range, and its transmission is more responsive. The GTI version of the Golf makes more power and is a lot nicer to drive than the Sport version of the Elantra GT. Interior comfort is a toss-up between the Elantra GT and the Golf. VW’s interior design is simpler, but more ergonomic when considering things like the simplicity of controls on the infotainment screen and steering wheel. 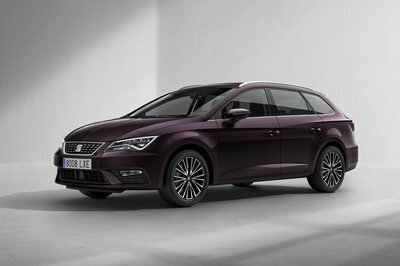 Both cars have seats that offer good comfort for the compact segment, though the VW seems to put the driver lower to the ground. Any shopper of one of these cars will want to compare it to the other, that’s for sure. 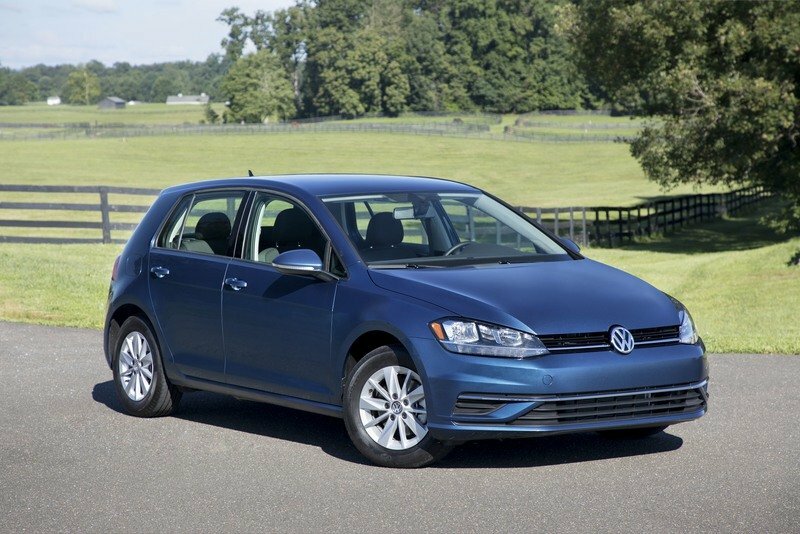 Read our full review on the 2018 Volkswagen Golf. Even though it’s getting long in the tooth and due for replacement, the Ford Focus Hatch is a solid competitor to the Hyundai Elantra GT. Styling of the Focus Hatch is a bit more futuristic and perhaps is showing its age more than the new-for-2018 Elantra GT. Inside, the Focus is a bit tighter than the Elantra GT. But the Focus still impresses with solid, European-style handling and a mix of efficient and/or powerful under-hood options. 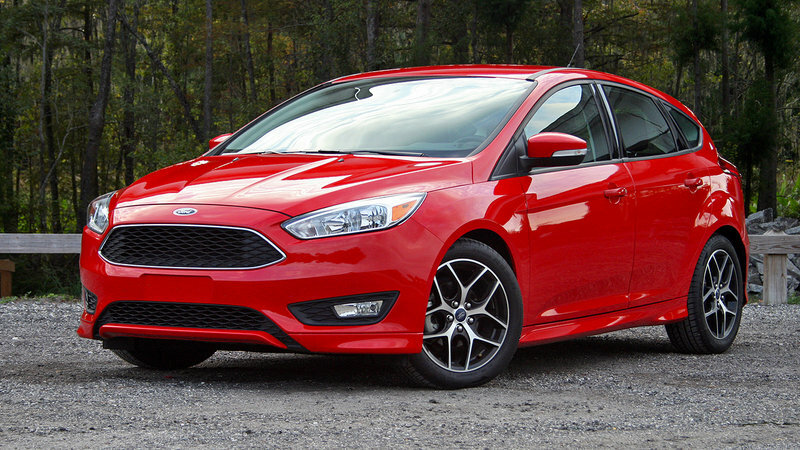 Base Focus Hatchback models can be found in the mid-teens at some Ford dealers. The difference in price makes the Focus a leading value alternative to the more expensive Elantra GT. 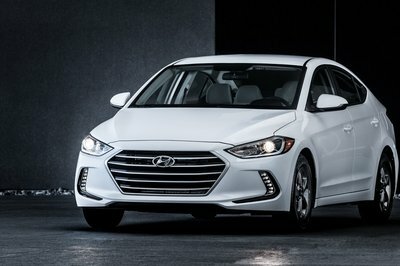 Though Hyundai will discount the Elantra GT to make the sale, don’t expect discounts to be as generous as they are at most Ford dealers. 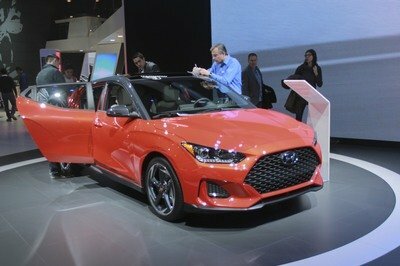 The Focus Hatchback comes standard with a 2.0-liter naturally aspirated four-cylinder that nearly matches the Elantra GT’s numbers. For more spirited drivers, there are two Focus Hatchbacks: the 2.0-liter turbocharged Focus ST that makes 252 horsepower, and the insane 2.3-liter turbocharged Focus RS that makes 350 horsepower. Either is far quicker than the 201-horse Elantra GT Sport. But for buyers of more pedestrian compact hatchbacks, the Hyundai may hold a styling and comfort edge over the Ford here. Ford’s strongest play for those buyers may be pricing. One can’t talk about compact hatchbacks without mentioning the Honda Civic Hatchback that is also new to the States this year. Honda’s styling of late is polarizing, to say the least. Some find the newest Civic design language a bit too sci-fi for their liking, while others say it’s merely ahead of its time. Similar criticism or praise could be leveled at the interior, which is very techy and futuristic. The biggest thing a prospective buyer will probably notice is how the Civic Hatchback is a little bit difficult to distinguish from the Civic sedan at first glance. That’s because the Civic Hatchback is more of a “liftback,” if you want to call it that. Its profile features a sharply sloping rear glass area that resembles a Toyota Prius more than it resembles a traditional two-box hatch like the Elantra GT..
Honda’s base powerplant is a 1.5-liter turbocharged gasser that puts out 174 horsepower. Step up to the Sport trim, and it gets a modest bump in power to 180 horses. Some enthusiasts will be disinterested in Honda’s use of a continuously variable transmission instead of a traditional multi-speed automatic like the one found in the Elantra GT. But Honda, like Hyundai, offers a manual transmission for those folks. 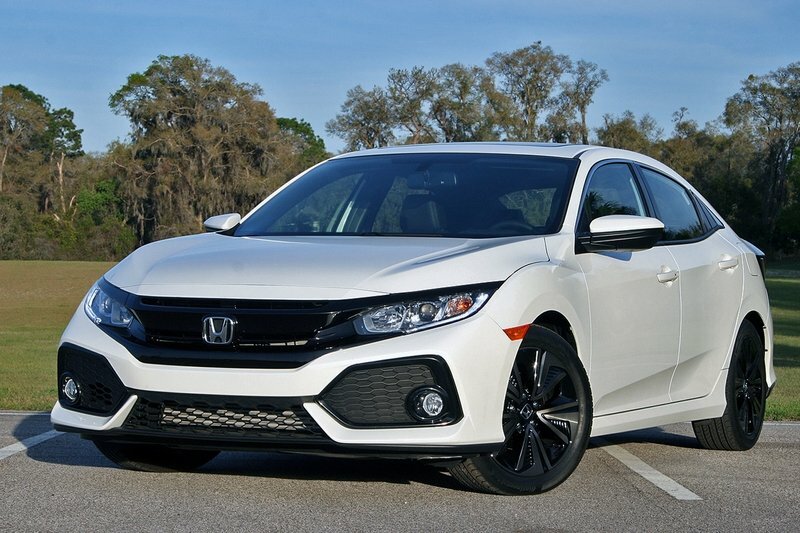 The Civic Hatchback usually wins praise for its practicality and driving demeanor. That’s particularly true for the hottest Civic Hatchback: the rip-snorting 306-horsepower Type R. That one isn’t the kind of car you buy if you want to blend in. It has a lot of boy-racer bits added on, including an enormous rear spoiler. If one can stomach the Civic’s design, there’s a lot to like about Honda’s compact hatchback entry. 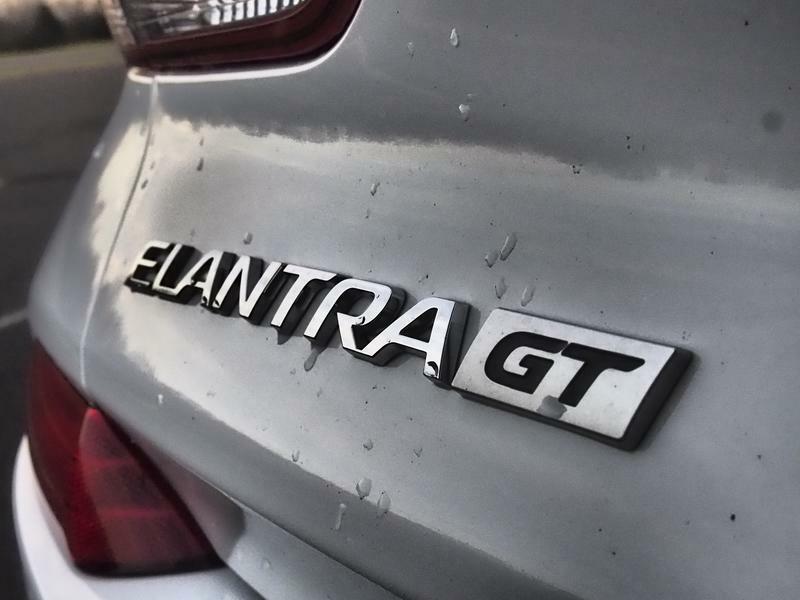 It’s worth comparing if you’re considering the Elantra GT. 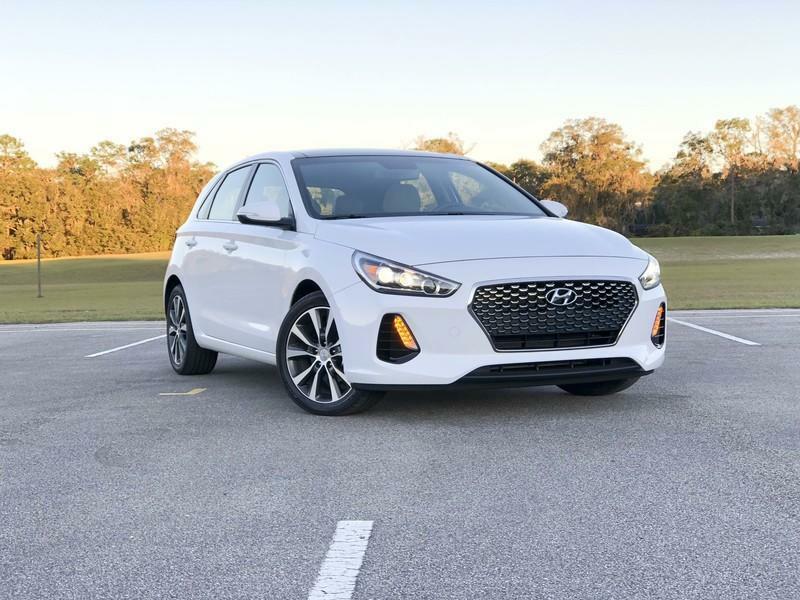 Hyundai Elantra GT is a sweetly designed compact hatch that should win the brand attention from young families who are put off by the subcompact crossover craze. With a starting price below $20,000 and a fully loaded, as-tested price of $27,460, the Elantra GT makes a value play. While you can find a Ford Focus Hatchback cheaper than an Elantra GT in most areas, the Ford will lack the Elantra GT’s warranty coverage and, in a couple of years, its resale value. While this segment has a lot of good buys, lowest purchase price does not always equal best overall value. Which is exactly why Volkswagen Golf is such strong competition, by the way. But in a segment that has been starved of attention in America for far too long, let’s not complain when we’re suddenly somewhat spoiled for choice. Disclosure: Hyundai provided the vehicle, insurance, and a tank of fuel for this review. 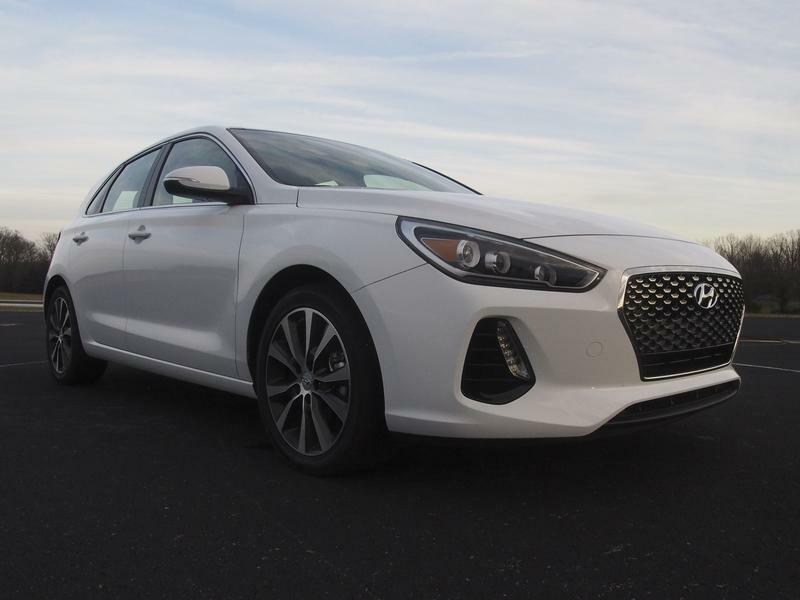 Read our full review on the 2018 Hyundai Elantra GT. 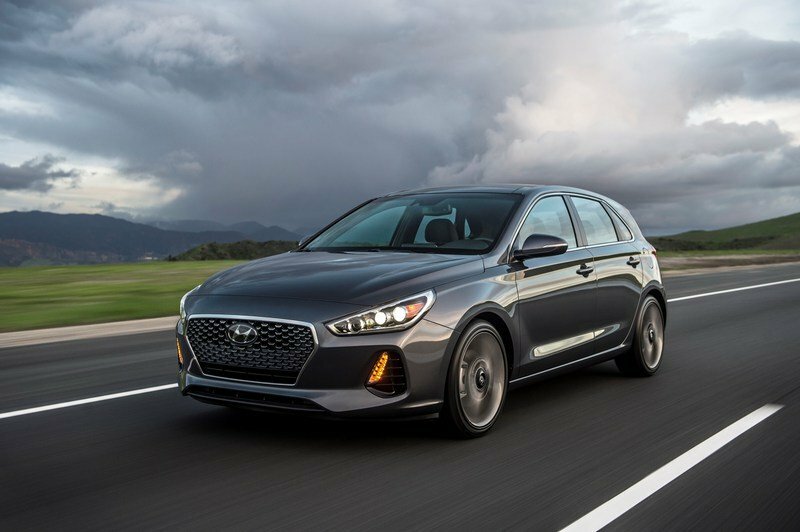 Read our full driven review on the 2018 Hyundai Elantra GT. 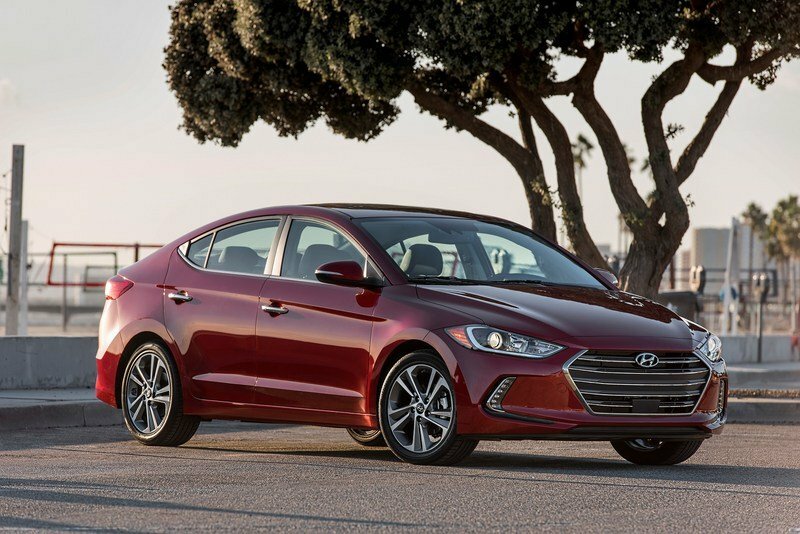 Read our full review on the 2017 Hyundai Elantra sedan.